Grit and the capacity to overcome unforeseen obstacles have long been recognized as two fundamental characteristics of successful entrepreneurs. 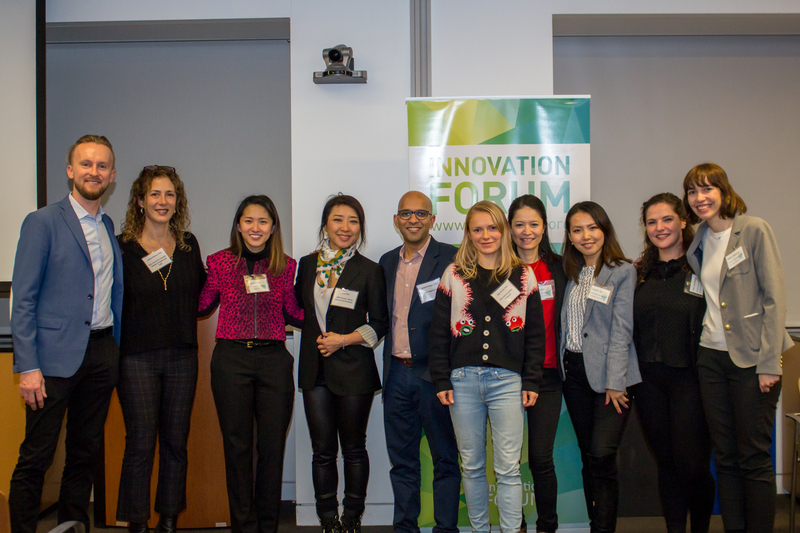 There was no shortage of either for the inaugural event of Innovation Forum New York (IFNY): “Build Your Own Empire: An Insider’s Guide to Startup Success” before it even began. 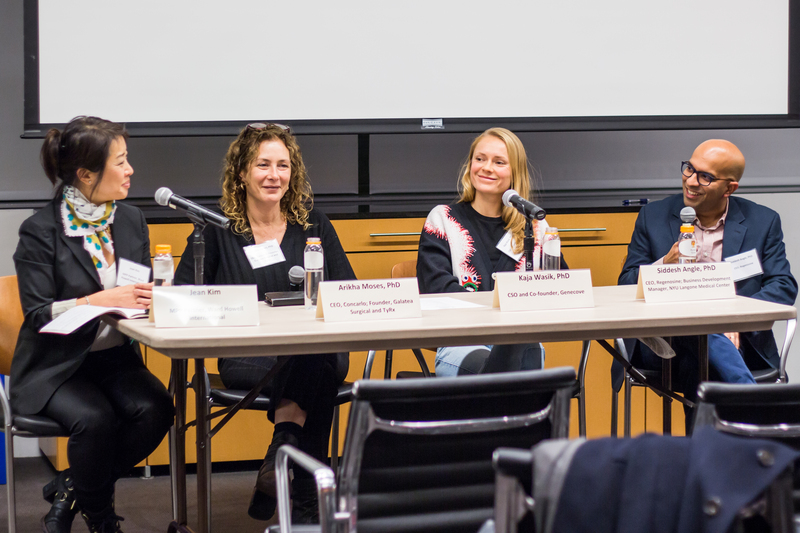 From post-docs, graduate students and faculty at Weill Cornell Medical College, Memorial Sloan Kettering Cancer Center and Rockefeller University to CEOs and developers from emerging and established companies in NYC, a diverse group of over 50 people gathered in Weill Cornell’s Belfer Research Building on November 15th despite a city-paralyzing 6-inch snowfall (the biggest one-day November snowfall in New York City in 136 years). The event opened with remarks from IFNY Founding President, Diu Nguyen PhD. 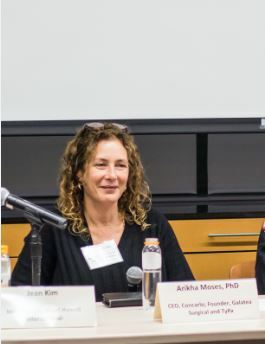 She gave an overview of the Global IF’s mission of accelerating science-based ventures for the betterment of society before turning over the microphone to guest speakers Arikha Moses PhD, Kaja Wasik PhD, and Siddesh Angle PhD. The speakers took turns sharing their stories of entrepreneurial journeys. Each of them provided key insights into the different stages of building and scaling a science-based startup. 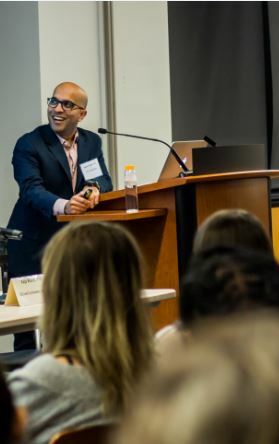 Arikha has founded 3 successful start-ups and is currently CEO of the New York-based targeted cancer therapeutics venture, Concarlo. After more than fifteen years in the world of science entrepreneurship she shared one of the most valuable lessons she had learned: the importance of listening to customers in order to better meet their needs. 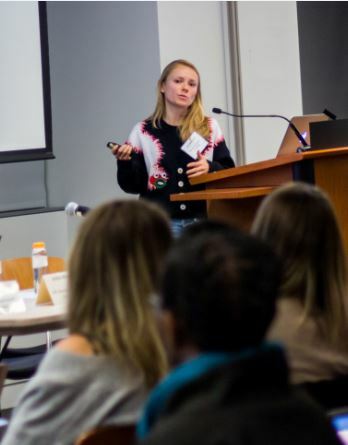 Kaja, co-founder of the innovative low-pass sequencing company Genecove and CSO of Variant Bio, stressed the importance of constant self-assessing the value and feasibility of a venture’s technology and business plan. This was what allowed Genecove to pivot from its original idea and evolve into the success it enjoys today. Through the story of the nascent Regenosine, of which he is CEO, Siddesh, shared key insights into the early stage of startups. He highlighted the importance of resources such as Technology Transfer Offices which can be pivotal for transforming academic research into successful ventures. He also posited that it’s never too early to start thinking of how the end users will interact with the technology, and to keep this idea in mind throughout all stages of the startup development. After sharing their stories Jean Kim, partner at the executive search firm Ward Howell International, led the speakers in a discussion panel. Three overarching ideas emerged from the discussion: the importance of asking as many questions as possible at all stages of building a startup, the value of building and nurturing a diverse network, and the necessity to always keep the end users in mind when building a technology. 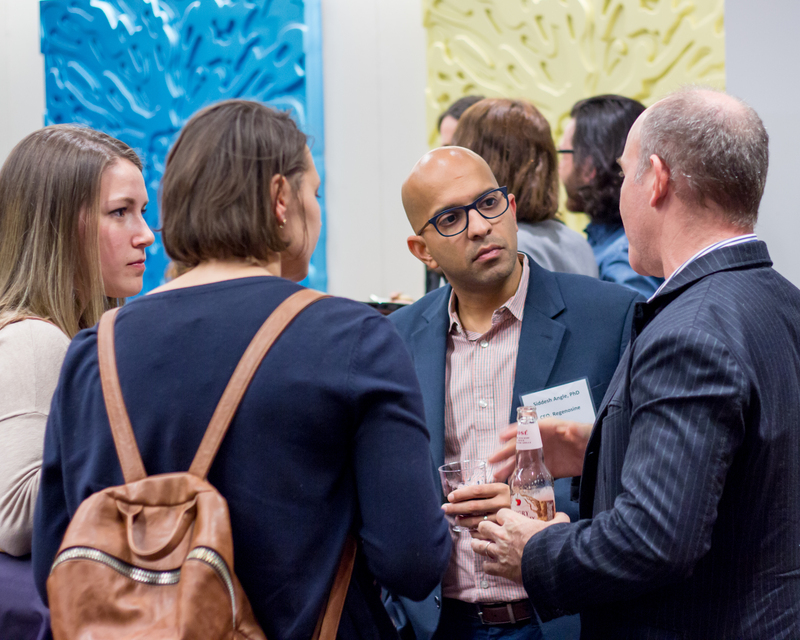 To wrap up the evening, all attendees and speakers attended a networking reception to connect and further discuss the ideas presented during the panel. Just as the resilience demonstrated the night’s attendees in the face of the unforgiving snowstorm, the enthusiasm and engagement of the ensuing conversations demonstrated that this first IFNY event was a successful overture for the organization with many exciting prospects on the horizon.